polyrevitalizing solution mesotherapy. 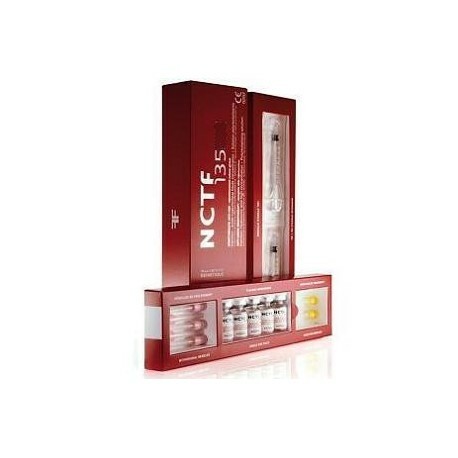 Hyaluronic acid concentration 5mg / ml Product anti-aging mesotherapy with the indication for Biorevitalisation, hydrating tired skin or dullness, treatment of wrinkles and re-densification of mature skins or lacking firmness. Treatment of the signs of age and maintaining 55 active ingredients repair skin damage. CAN BE USED BY A SPECIALIST Complete kit for 5 filler treatments: single-dose vials of 3 ml + 3 ml syringe + 18G Collection Needles + 30G treatment needles and 32 G Mesotherapy is a biological and progressive treatment that requires minimum of 5 sessions for a visibly rejuvenated skin.